If you are like me you spend a lot of time on a computer but don’t get much of an opportunity to listen to your favorite radio stations. I don’t drive to work so I quite frequently listen to Pandora or Spotify while commuting but I find that the music on these services is great there is something that I miss from traditional radio. For one thing I miss having radio announcers. I like hearing someone announce the upcoming track and commenting on daily news and stories. Listening to radio is not just about the music, it’s about the whole broadcast (even the ads). I also find that I miss access to sports radio from streaming music services like Pandora and Spotify. 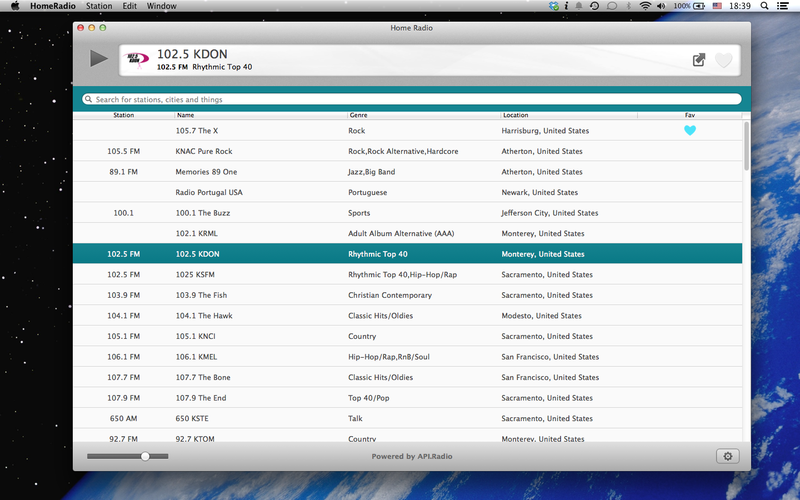 You can usually find a streaming options for the radio station on their website. 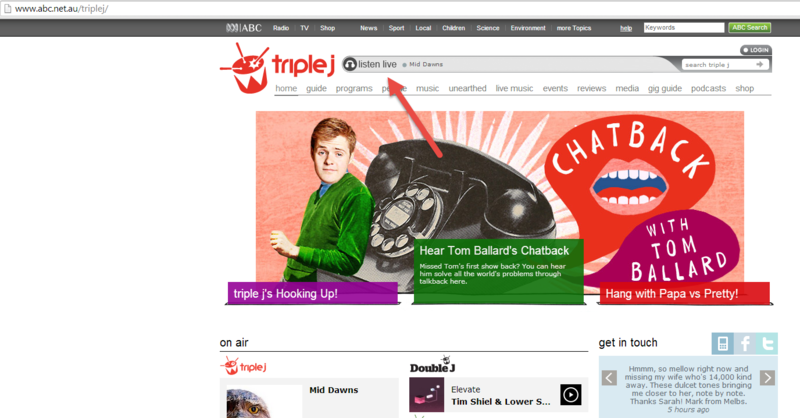 You can see below where you can do this for Triple J. 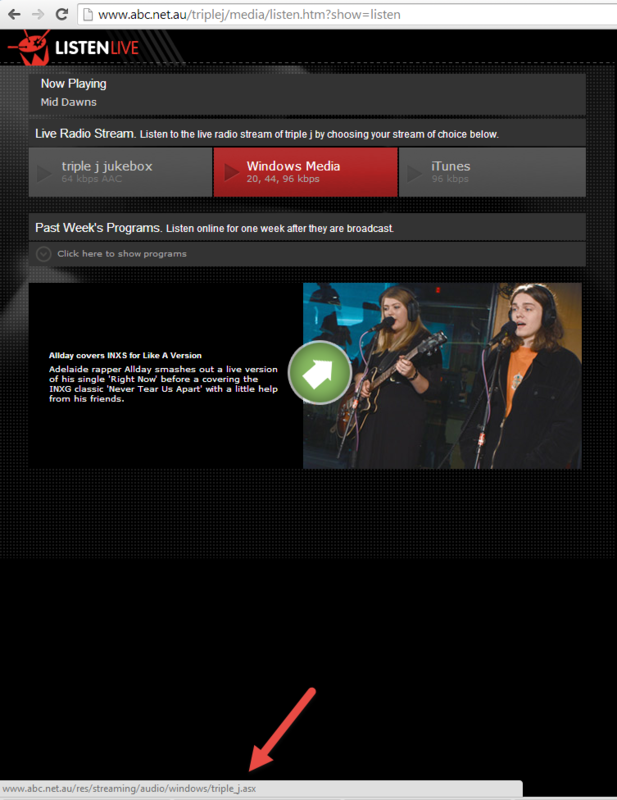 Any radio station that has a live stream available from their website usually has a URL that you can fetch so that you can use a media streaming application to play it. To find this URL you may need to do a web search for ‘STATION NAME streaming URL’ where you replace STATION NAME with the name of your station. Try to search for the name rather than the frequency of the station. That frequency will very likely be used in other geographical locations so it will not be unique and you will likely find the streaming URL for a different station. After searching for ‘Triple J streaming URL’ I found a page where you could choose to stream the radio station in a couple different ways. As you can see below there is an option for streaming via Windows Media Player and another option for streaming with iTunes. If you hover your cursor over these two options you will see a URL appear as shown below. This is the URL for the stream. You can copy this URL and then use it with Windows Media Player, VLC, iTunes or another media streaming program. 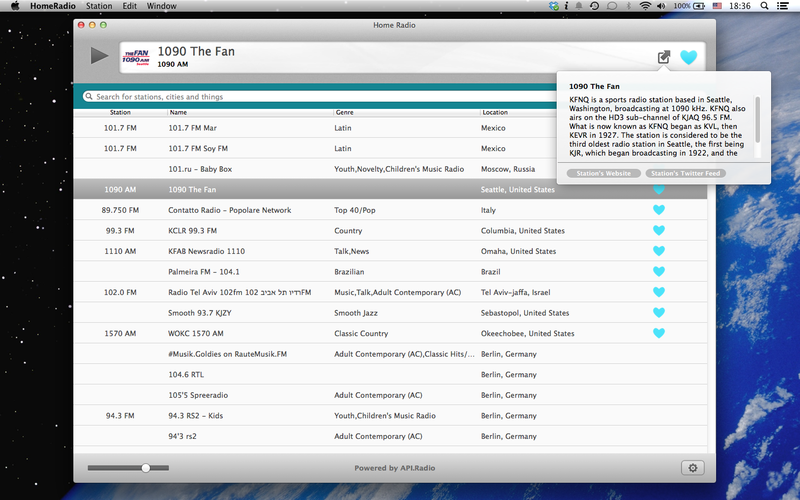 The easiest way (in my opinion) to access radio stations you love is to use a dedicated radio streaming application. You can get an application for most Operating Systems which has a list of thousands of radio stations from around the world. Using them is usually quick and easy. All you need to do is search for your radio station and then press play. My favorite thing about using software like this is that you can easily access it to pause the radio station rather than having to find the tab in your browser where the streaming is playing from. You also don’t need to spend a lot of time searching for the stream URLs of your radio station because these applications will likely have your station already in their library. On the Mac I think the best application to use is Home Radio Mac. This product is extremely easy to use and is very good on system resources. 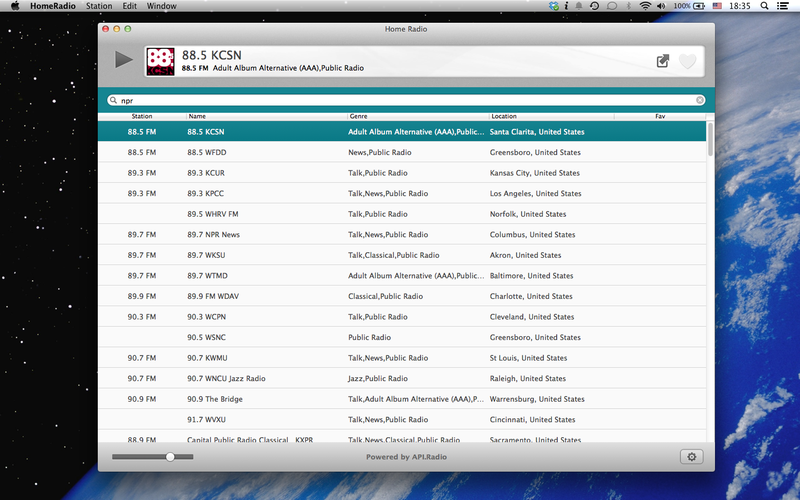 I have found that their library of radio stations is impressive to say the least. As for a good streaming application for the PC? To be honest I have not found one that I really love. There are a lot of applications that will stream an internet radio stream (such as VLC Medi Player) but I have not found one that has a good catalog of radio stations along with that functionality. I have tried TuneIn Radio but it never seems to work for me and I used to use Nexus Radio but have found that it is not as good as it used to be. Have you found one that you like? Leave a comment below. Hope that you found this article helpful. As always, if you have any comments or questions you can leave them in the comments section below or you can ask us a question at ReviverSoft Answers.